Women surely enjoy the pleasure in possessing our ladies leather handbags, which is elegantly designed and makes them stand apart in the crowd. It has been designed with lots of pockets and space to keep the belongings. These also have zip lock and buckles to keep the pricey items safe. Available in different sizes, colors and shapes, our clients can avail this product at competitive prices. We deal in premium quality PU/ Leatherite handbags import/manuf. This classy handbag By JEWEL FUEL will surely become popular among fashion forwards. 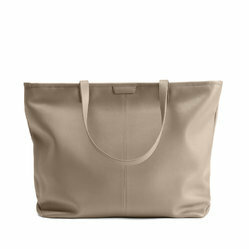 Made from PU (polyurethane), this handbag is durable and light in weight. The spacious compartment helps you accommodate your essentials with ease, while the twin grab handles make it easy to carry on your wrist. We are the leading Manufacturer Supplier and Exporter of PU handbags. 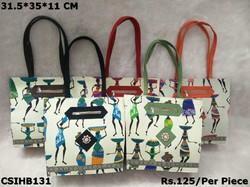 Having a definite quality management system, we are engaged in manufacturing optimum quality Printed PU Handbag. Our company holds vast experience in this domain and is involved in offering PU Top Handle Bag.